Part-time full professor at Leiden University. The issue is about how central VC (Vapnik-Chervonenkis)-theory is to inductive inference. I thank Dr. Vladimir Cherkassky for taking up my general invitation to comment. I don’t have much to add to my original post[i], except to make two corrections at the end of this post. I invite readers’ comments. As I could not participate in the discussion session on Sunday, I would like to address several technical issues and points of disagreement that became evident during this workshop. All opinions are mine, and may not be representative of the “machine learning community.” Unfortunately, the machine learning community at large is not very much interested in the philosophical and methodological issues. This breeds a lot of fragmentation and confusion, as evidenced by the existence of several technical fields: machine learning, statistics, data mining, artificial neural networks, computational intelligence, etc.—all of which are mainly concerned with the same problem of estimating good predictive models from data. Occam’s Razor (OR) is a general metaphor in the philosophy of science, and it has been discussed for ages. One of the main goals of this workshop was to understand the role of OR as a general inductive principle in the philosophy of science and, in particular, its importance in data-analytic knowledge discovery for statistics and machine learning. First to speak were Vladimir Vapnik and Vladimir Cherkassky, from the field of machine learning, a discipline I know of only formally. Vapnik, of the Vapnik Chervonenkis (VC) theory, is known for his seminal work here. Their papers, both of which addressed directly the philosophical implications of their work, share enough themes to merit being taken up together. The former depicts knowledge as objective, deterministic, rational. Ockham’s razor is a kind of synthetic a priori statement that warrants our rational intuitions as the foundation of truth with a capital T, as well as a naïve realism (we may rely on Cartesian “clear and distinct” ideas; God does not deceive; and so on). The latter empirical view, illustrated by machine learning, is enlightened. It settles for predictive successes and instrumentalism, views models as mental constructs (in here, not out there), and exhorts scientists to restrict themselves to problems deemed “well posed” by machine-learning criteria. Jerzy Neyman (April 16, 1894 – August 5, 1981), was a Polish/American statistician[i] who spent most of his professional career at the University of California, Berkeley. Neyman is best known in statistics for his pioneering contributions in framing the Neyman-Pearson (N-P) optimal theory of hypothesis testing and his theory of Confidence Intervals. SUMMARY: This paper contains a reply to some criticisms made by Sir Ronald Fisher in his recent article on “Scientific Methods and Scientific Induction”. 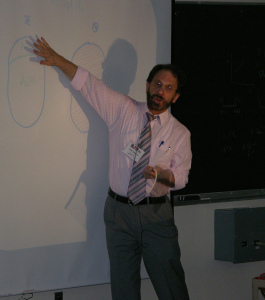 Controversies in the field of mathematical statistics seem largely to have arisen because statisticians have been unable to agree upon how theory is to provide, in terms of probability statements, the numerical measures most helpful to those who have to draw conclusions from observational data. We are concerned here with the ways in which mathematical theory may be put, as it were, into gear with the common processes of rational thought, and there seems no reason to suppose that there is one best way in which this can be done. 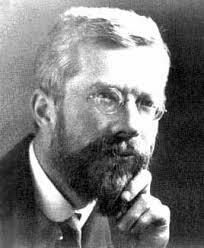 If, therefore, Sir Ronald Fisher recapitulates and enlarges on his views upon statistical methods and scientific induction we can all only be grateful, but when he takes this opportunity to criticize the work of others through misapprehension of their views as he has done in his recent contribution to this Journal (Fisher 1955), it is impossible to leave him altogether unanswered.